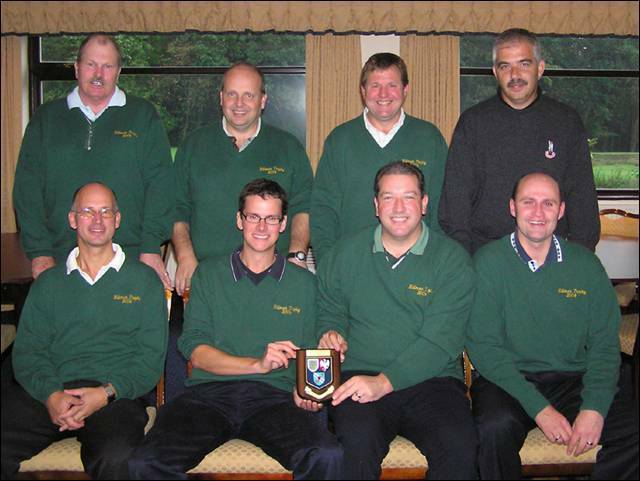 Team at Gerrards Cross: David Addison (Donnington Grove), Clive Bowler (Oxford City), Matthew Briggs (Donnington Grove), Kevin Freeman (Stoke Park), Lee Gauthier (East Berkshire), Tom Lawson (Ellesborough), Luke Rusher (Stoke Park), Ashley Walton (Frilford Heath). The County played their fourth and last League match against Hertfordshire on 22nd August at West Herts. Needing a draw or better to reach the Daily Telegraph Final, we did not get off to a good start and were two points down after the morning foursomes. Despite a better performance in the afternoon singles, with nearly every game going to the 17th or 18th we fell just short of our target and were beaten 5½-6½ in an exciting match. Team at West Herts: Clive Bowler (Oxford City), Matthew Briggs (Donnington Grove), Kevin Freeman (Stoke Park), Lee Gauthier (East Berkshire), Tom Lawson (Ellesborough), Andrew Robson (East Berkshire), Luke Rusher (Stoke Park), Ashley Walton (Frilford Heath). The County side played the Club at Goring and Streatley on 5th September. After the morning foursomes the Club lead by just one point and after some very tight games in the afternoon the match went in favour of the Club 7-5. Team at Goring and Streatley: Jack Bircham (Woburn), Matt Briggs (Donnington Grove), Craig Buttivant (Gerrards Cross), Jon Cater (Reading), Darren Gatward (Calcot Park), Jeremy Peel (Reading), Matthew Rendell (Reading), Mark Rubber (Maidenhead). The County played the Club at Calcot Park on 9th October. In the last match of the season the County Captain picked a strong side and after the morning foursomes his side were leading 3-1. The afternoon singles play was excellent just as good resulting in a clean sweep with the County winning the match 11-1 overall. Team at Calcot Park: Matthew Briggs (Donnington Grove), Craig Buttivant (Gerrards Cross), Jon Carter (Reading), Paul Heselden (Harewood Downs), Darren Gatward (Calcot Park), Richard Lee (Goring & Streatley), Jeremy Peel (Reading), Chris Piercy (Reading). The Colts played Bedfordshire in their third League match at Aylesbury Vale on 14th August. With honours shared at lunchtime we were looking for a solid performance from the top half of the games, but unfortunately we were unable to pick up any points until game 5 and eventually lost 5-7 to put us out of contention for League honours. Team at Aylesbury Vale: Jack Bircham (Woburn), Robert Christian (Beaconsfield), Matthew Haddy (Bicester), Scott Hunt (The Oxfordshire), Andrew Mason (Tadmarton Heath), Matthew Rendell (Reading), Chris Tellet (Woburn), Lee Wanklyn (Sand Martins). The Colts played Middlesex in the last League match of the year at Sudbury on 11th September. Although neither side was able to win the League, the match was still played very competitively and there was just one point advantage to Middlesex after the morning foursomes. A very strong performance in the afternoon saw us lose just one game and take the match 7½-4½. Team at Sudbury: Jack Bircham (Woburn), Adam Birdseye (Hazlemere), Robert Christian (Beaconsfield), Laurence Eltham (Goring & Streatley), Michael Fox (Bearwood Lakes), Michael Joy (Hazlemere), Matthew Rendell (Reading), Mark Rubber (Maidenhead). The Under 14 Team played Sussex at Flackwell Heath on 28th July. Despite playing some good golf the side lost to a very strong Sussex team 3½-8½. 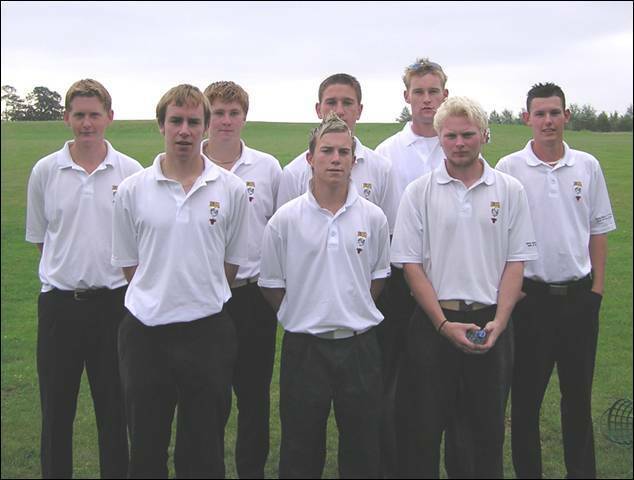 Team at Flackwell Heath: Adam Batty (Hazlemere), Sandy Bolton (Hinksey Heights), James Brockington (Studley Wood), Lloyd Cassidy (Studley Wood), Tom Harwood (Hazlemere), Tyrrell Hatton (Harleyford), Mathew Johnson (Chipping Norton), George Munsey (Frilford Heath), Steve O’Connor (Tadmarton Heath), Eddie Pepperell (Frilford Heath), Nick Robinson (East Berkshire), Sam Warwick (Temple). The Juniors played the Oxfordshire Captains on 4th August. 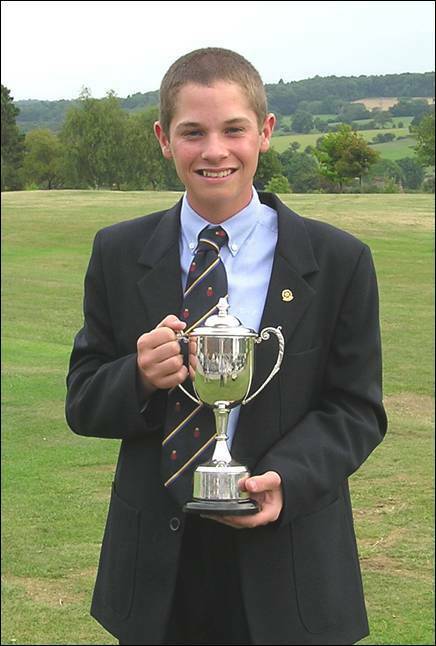 Before the match the Juniors play a Medal and this was won by Matthew Rendell (Reading) with a 67 net 66. The team then went on to record a narrow victory over their hosts for the day. Team at North Oxford: Kristian Branum-Burns (The Springs), Mark Drummond (Beaconsfield), Laurence Eltham (Goring & Streatley), Mark Hall (Oxford City), Nick Howell (Goring & Streatley), Tim Newton (Reading), Matthew Rendell (Reading), Stuart Thompson (North Oxford), Luke Thorpe (Chipping Norton), James Weight (Woburn), Adam Wootton (Oxford City), Dean Wright (Reading). 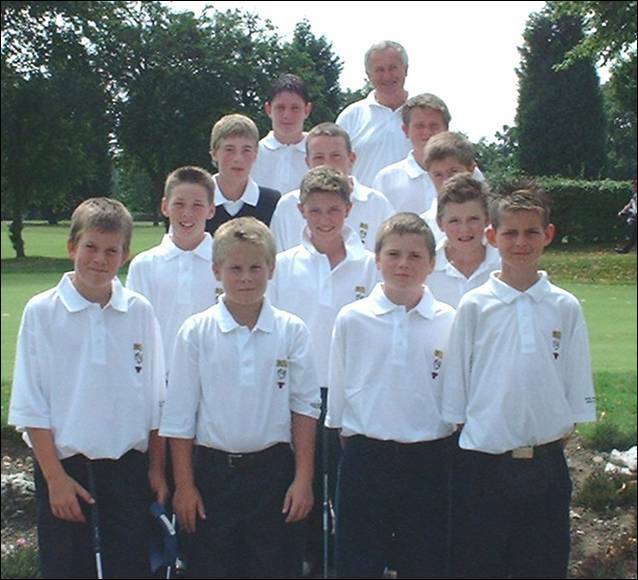 The Under 14 Team played Hampshire and Wiltshire on 8th August at Hamptworth Golf & Country Club. A good win against Hampshire 6½-3½ was offset by a 5½-4½ loss to Wiltshire as their last two players both holed long putts to claim their games. Team at Hamptworth: Adam Batty (Hazlemere), Sandy Bolton (Hinksey Heights), Tyrrell Hatton (Harleyford), Alistair Haynes (Studley Wood), Mathew Johnson (Chipping Norton), Alex Land (Harleyford), George Munsey (Frilford Heath), Eddie Pepperell (Frilford Heath), Nick Robinson (East Berkshire), Ben Stewart (Burford). Team at Coventry Hearsall: Alex Carey (Sand Martins), Mark Drummond (Beaconsfield), Lee Frame (Donnington Valley), Robert Hart (Stoke Park), John McNally (Stoke Park), Simon Pollington (East Berkshire), Ben Ratcliffe (Gerrards Cross), Anthony Sage (Gerrards Cross), James Weight (Woburn), Dean Wright (Reading). 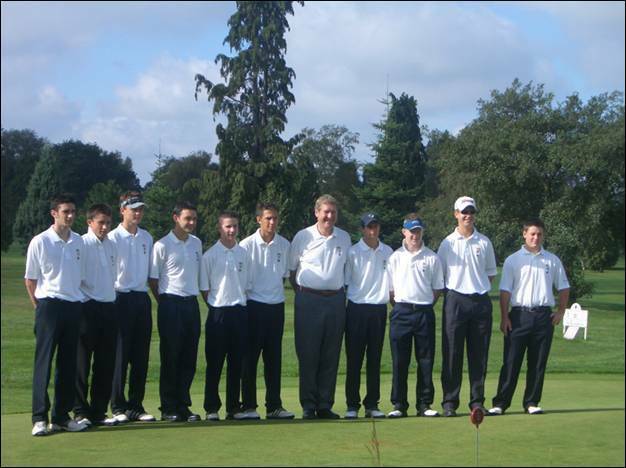 The Under 16 Team took on Surrey at Denham on 26th August. 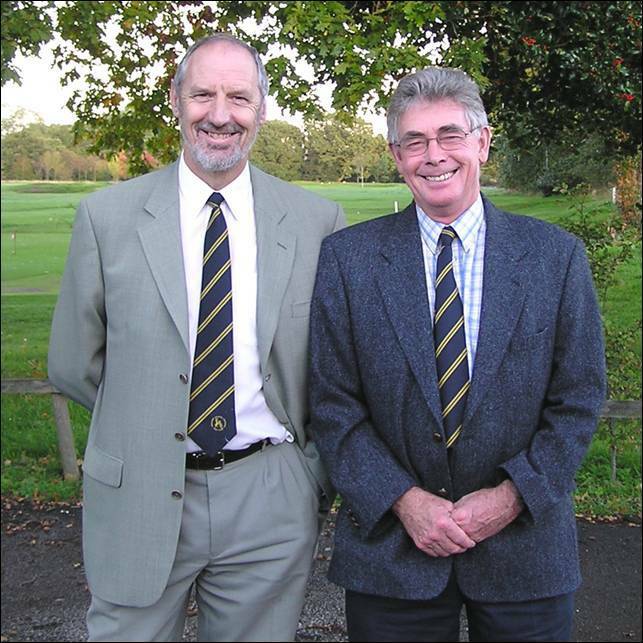 This match is kindly sponsored by 'The Mugs' - a group of Past Captains of Clubs in Surrey and BB&O, whose aim is to ensure the highest standards and traditions are handed down to the younger generation. In the 11th match BB&O squeezed home by 1 point and the series is now 6-5 in Surrey's favour. 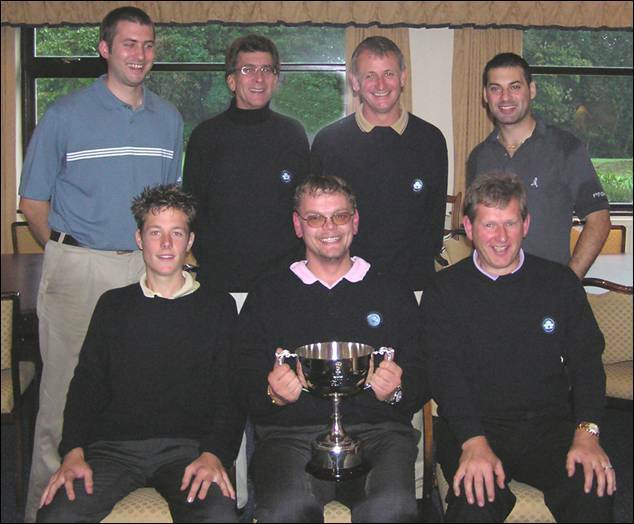 Team at Denham: Craig Drew (Studley Wood), Lee Frame (Donnington Valley), Robert Hart (Stoke Park), John McNally (Stoke Park), Tim Newton (Reading), Eddie Pepperell (Frilford Heath), Ben Ratcliffe (Gerrards Cross), Anthony Sage (Gerrards Cross), James Weight (Woburn), Dean Wright (Reading). The Seniors played their third League match against Bedfordshire at Aspley Guise & Woburn Sands on 11th August. A very close match ended in favour of the home team, but the result still leaves us at the top of the League on points difference. A convincing win at Middlesex on 11th September will ensure the title. Team at Aspley Guise & Woburn Sands: Jim Cameron (Harleyford), Bob Clarke (Mentmore), Rod Crisp (Ellesborough), David Doodson (Temple), Ian Disney (Frilford Heath), Duncan Forbes (Sonning), Robert Gill (Gerrards Cross), Roger Mawle (Tadmarton Heath), Anthony Parsons (Denham), David Stevenson (Ellesborough). 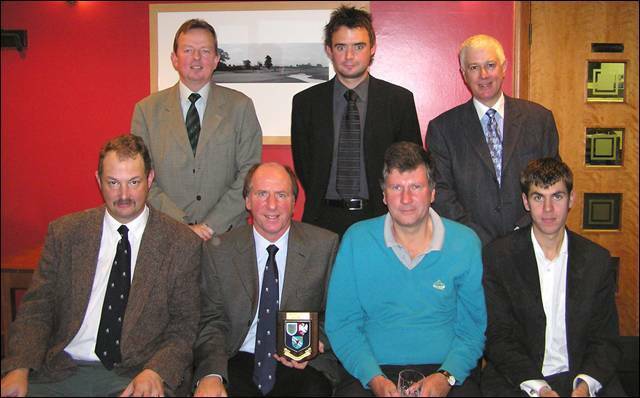 The final League match of the season was played against Middlesex at Wyke Green on 6th September. We needed to win this match, and hope that Bedfordshire would not win their last match by a large margin, to win the League. After the first five games, Middlesex had a healthy lead, but our final five players all won, with four of those games finishing just 1 up our winning margin of 6½-3½ did not reflect the closeness of the match. We now go on to play Hampshire in the League final. Team at Wyke Green: Rod Crisp (Ellesborough), Ian Disney (Frilford Heath), David Doodson (Temple), Robert Gill (Gerrards Cross), David Kelly (East Berkshire), David Lane (Goring & Streatley), Roger Mawle (Tadmarton Heath), Anthony Parsons (Denham), David Stevenson (Ellesborough), Alistair Wright (Goring & Streatley). Played at Goring & Streatley on Saturday 24th July. 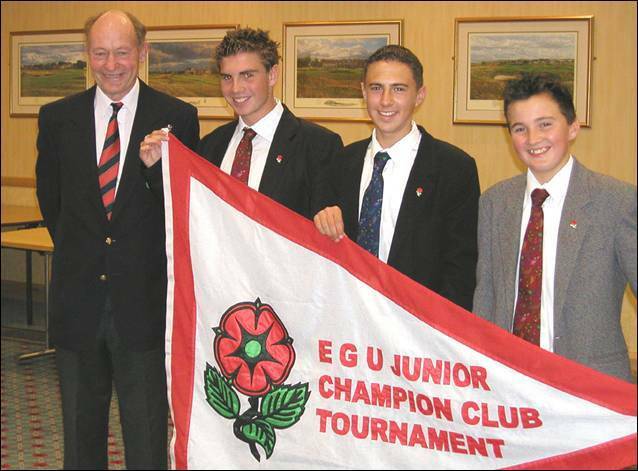 This Event is for Club Champions from 2003 and those invited by the County Union Executive Committee to make up the field. 54 players took part and in ideal conditions scoring was excellent. 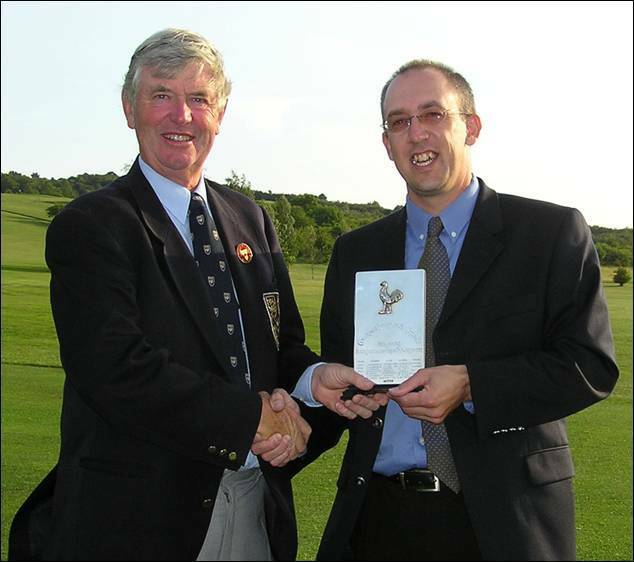 Chris Guy (Wavendon) led the way with a four under par 67 closely followed by Andrew Robson (East Berkshire) with a 68. Three players were handily placed at 1 under par. 5 more were on 71, all hoping they could improve on their morning rounds and challenge the leaders. However, afternoon conditions changed as a very brisk breeze picked up that made club selection and shot judgement much more difficult, as the second round scores averages reflected. Nick Jacobs (Goring & Streatley) was first in and set a tough target of 1 under par after an excellent 68. He was quickly matched by County Captain Craig Buttivant (Gerrards Cross) who added another very solid round of 70 to his morning 71. Chris Guy could not quite match his morning performance and he joined the others as joint leaders in the Clubhouse. Out on the course Andrew Robson was continuing his steady progress as he reached the turn 1 over par. A dropped shot at 13th was offset with a birdie at 17th as he finished with 140, 2 under par and take over as leader. Much further down the field, Matt Briggs (Donnington Grove) and Paul Heselden (Harewood Downs) were on opposite sides of the course. Both had had 1 under par 70’s in the morning and were now very much in contention after a further 9 holes. Briggs had reached the turn in 34 to lie at 2 under overall, but Heselden had played exceptionally well and his 33 took him to 4 under for the day. Both played very steadily on the back nine holes, but a birdie at 15th enabled Briggs to close the gap to one. 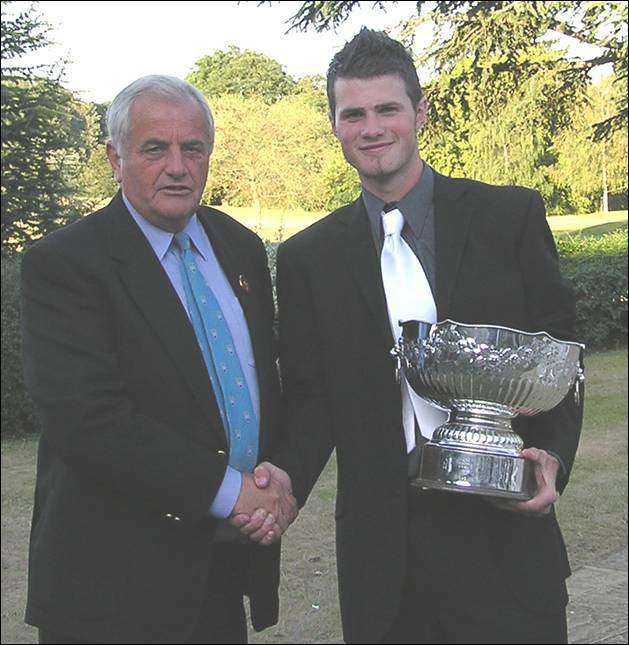 Try as he might he was unable to get another in the final three holes and as Heselden came home in level par he took the Trophy by just one shot after a splendid 3 under par 68. Club Champions also compete for a separate prize and Craig Buttivant (Gerrards Cross) just got the better of promising youngster Kristian Branum-Burns (The Springs). Played at Harewood Downs Golf Club on Thursday 29th July. This Open event is contested by players aged 16 years and under from all over the Country, with competitors coming from as far away as Cornwall and Lancashire. This is the twelfth time the event has been held and there was an excellent field of 57 from 51 different clubs. The status of the event has risen to such an extent that the ‘cut’ for entry was 5.0 handicap and below. England Boys selectors were on hand to witness golf of high calibre with a number of par and sub par rounds over the tight par 69 course. Tony Mitchell (Redbourn) set the early pace with a fine 67, with Sam Hutsby (Lee-on-the Solent) making his fourth and last appearance in the event on 68. Luke Goddard (Hendon), Ross Spurgeon (West Essex) and Matthew Swales (Cumberwell Park) were also very well placed after rounds of 69. Another 8 players were on 70 and it looked as if it would be a very exciting afternoon. Sam Baker (Burghill Valley) produced a superb round of 66 including 6 birdies and took the early lead in the Clubhouse at 1 under par. Out on the course Sam Hutsby had got to 3 under par for the day after 9 holes and was 2 ahead of Ross Spurgeon, playing in the group behind. Both players then played very steadily and the gap was still two shots with three to play. Despite his best efforts Spurgeon could not birdie two of the last three holes to force a play off and he watched Hutsby make three pars to finish with a fine 66. 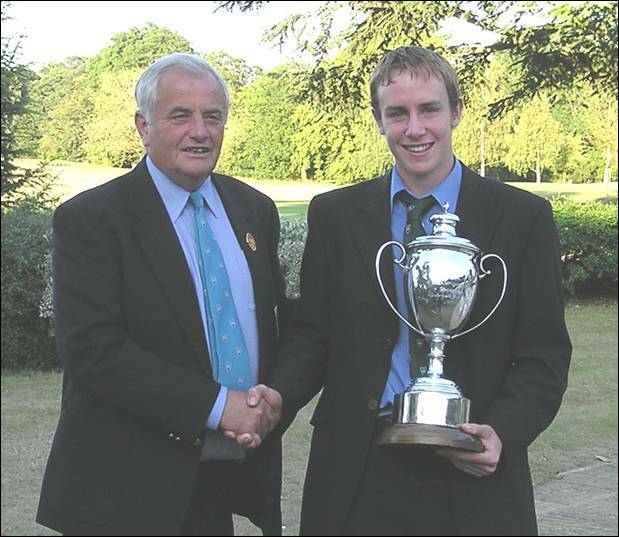 His 4 under par total for the tournament enabled him to join the long list of prominent young golfers to take this Title. Played at Sonning Golf Club on Saturday 7th August 2004. After some late withdrawals, 56 players aged 21 and under contested the Championship. All but one of the field were 5 handicap and below, but they found the 6,366 layout quite testing in the hot and dry conditions. Scoring was expected to be low, but only one player beat the par of 70 in the morning. Michael Fox (Bearwood Lakes) led the way with an excellent round of 69 but was only one clear of Penfold Trophy winner, Matthew Rendell (Reading) and Andrew Mason (Tadmarton Heath). Jack Bircham (Woburn) was a further shot back, with four others on 72, including Scott Hunt (The Oxfordshire), who had recovered from a disastrous start by coming home four under par. Altogether 16 players were within 5 shots of the lead and all had a chance. Despite the temperatures many players improved on their morning efforts and 15 would eventually play to their handicaps or better. After 9 holes in the afternoon, there were four players in contention. Michael Fox, reached the turn in level par before a birdie at the 14th took him to two under for the day, just one ahead of Matthew Rendell and Jack Bircham with Andrew Mason a further shot back. Mason and Bircham could not make up any ground in the last 5 holes and with 2 to play Fox still held a one shot lead. Rendell then produced two great birdies to finish as Fox dropped a shot at the last enabling Rendell to take the title by two shots. Playing for the ‘Busby Bowl’ the handicap event is also normally closely contested and Fox’s excellent net 134 for the day looked certain to win the Bowl until Nick Hills (Donnington Grove), out last, produced the net round of the day with a 63 to win the prize on a countback. Played at Calcot Park Golf Club on Friday 17th September 2004. 57 players entered and with the course set up to reflect the importance of this Championship, scoring was difficult in the very windy and damp weather. In the morning round just three players were able to score under 74 and with CSS at 72, the 71’s of David Summers (Oxford City), Matt Biggs (Donnington Grove) and local player George Wilson were highly commendable. The afternoon conditions did not improve and again the CSS was 72 against the SSS of 70. Craig Buttivant (Gerrards Cross), the County Captain found his form, as did Paul Lines (Windmill Hill) and their 71’s would prove best of the afternoon. Meanwhile the battle for the major prize was being keenly contested by those who had shot 71 in the morning. After 9 holes David Summers held the narrowest of leads as he reached the turn in one over par with Briggs and Wilson both 2 over. The lead went back and forth until their respective 13th holes when they were all one over. Briggs then used his many years’ experience to safely negotiate the closing holes and his 72 enabled him to claim his third win in this event by two shots from George Wilson and 3 from David Summers. The handicap prizes were keenly contested, with Stephen Bennett (The Springs) taking first prize from Richard Stephenson (Farnham Park) and Simon Powell (Calcot Park). Their net scores being excellent efforts in the testing conditions. 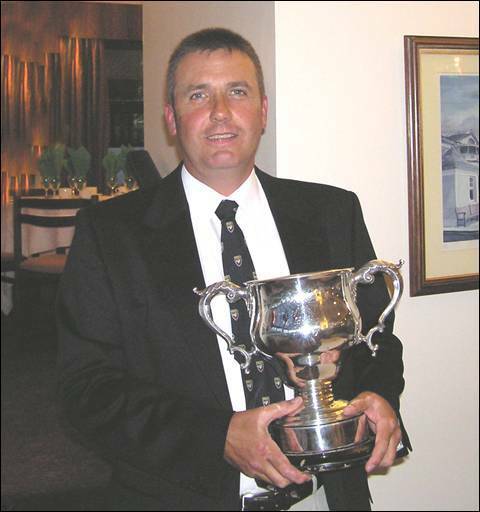 Played at Caversham Heath Golf Club on Tuesday 21st September 2004. The field of 58, once again, consisted mainly of players of 5 handicap and below and it was good to see that we had a full field for this final Order of Merit Event. 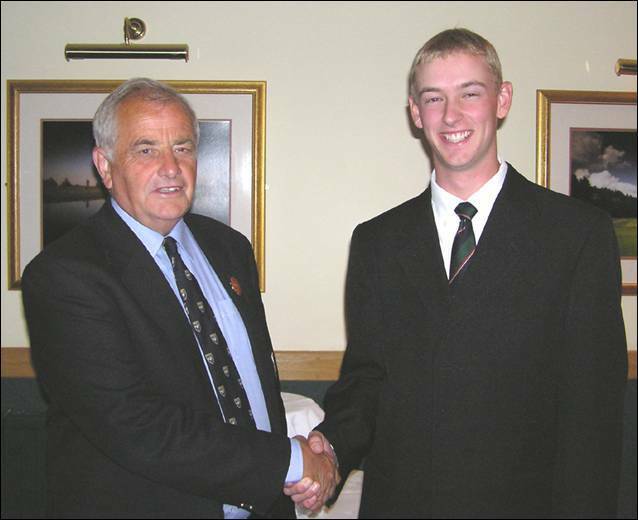 The main contenders for the OOM were Ashley Walton (Frilford Heath) and David Addison (Donnington Grove). Ashley was enjoying a 6¼ point lead over David which meant that he had to finish no worse than 6th to ensure he headed the table. This was the first time Caversham Heath had been used for a major event and the players found the 7,150 yard layout extremely difficult in the strong breeze. Scoring was high as the CSS went up 3 to 77 for both the morning and afternoon rounds. Best of the morning scores came from Kristian Branum-Burns (The Springs), who is also the Club Champion at Caversham Heath, his other Club. His excellent 75 just put him just ahead of David Addison, Matt Weavers (Harleyford), Richard Kemp (Woburn) and Leon Beer (Goring & Streatley). These 5 players were the only ones to break 80. Given the scoring, anyone within 6 of the lead felt they had a chance and in the afternoon a number of players improved on their morning efforts. First in the clubhouse in the afternoon was David Addison whose 79 included any number of birdies, bogies, ‘others’ and just 6 pars. His 155 total was not thought to be good enough, but as each group came in nobody seemed able to make a challenge. In the end, Kristian Branum-Burns managed to take second place from Ashley Walton, who had the satisfaction of wrapping up the OOM title in style, finishing 3¼ points clear of Addison. The handicap prizes were keenly contested, with Matt Wavers (Harleyford) taking first prize from John Balague (Forest Downs) and Richard Stephenson (Farnham Park) in third spot. After the Autumn Trophy, Ashley Walton won the OOM by 1 point from David Addison (Donnington Grove) with Clive Bowler (Oxford City) in third place. Beaconsfield Golf Club and Donnington Grove Country Club met in the 13th Hillman Trophy Final at Castle Royle Golf Club on Saturday 23rd October. Play is over 18 holes singles matchplay for a seven man team, with each team having three players in handicap range 6 to 9 and four with a handicap of 10 and over up to a maximum of 20. With 87 Clubs from all over BB&O entering the competition, it is a feat in itself just reaching the Final. 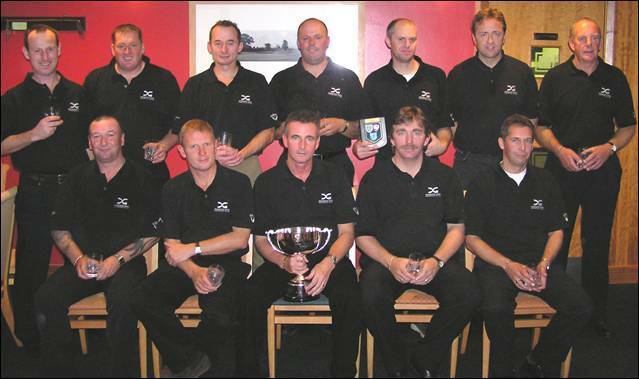 Donnington Grove: Trevor Evans, Russell Fisher, Mike Garner, Jason Methuen, Jon Millar (Captain), Ian Panting, Brian Wells. Beaconsfield: Tony Baldwin, Paul Croft, Simon Harris, David Harvey, Bob Heard (Captain), Phil Moody, Neil Teixiera, John Todd. 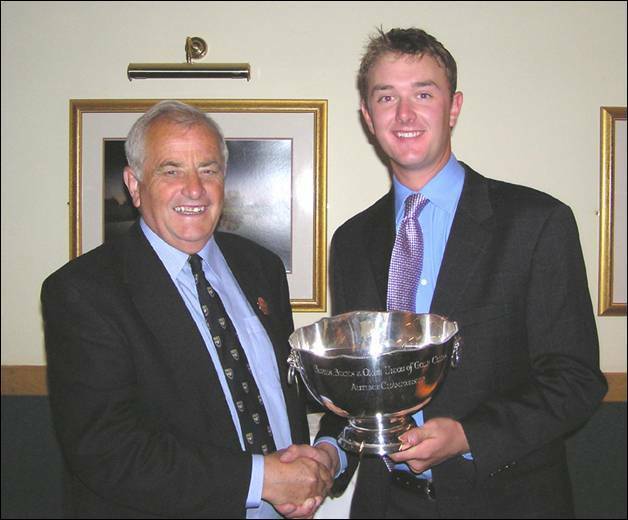 The Lambourne Club and Temple Golf Club met in the 10th Hillman Trophy Plate Final at East Berkshire Golf Club on Saturday 16th October. Play is over 18 holes singles matchplay for a seven man team, with each team having three players in handicap range 6 to 9 and four with a handicap of 10 and over up to a maximum of 20. Lambourne were seeking to defend their title, whilst Temple were in their second final having won in 2002. The handicap differences were minor and a close match seemed in prospect. After 4 games The Lambourne were just ahead by one point, but Temple rallied and with just one game left on the course were one point up. They could not secure the crucial half point needed for outright victory and the match was tied at 3½-3½ at full time. The rules dictate that the last halved match is played to a sudden death finish. Mark Dries from The Lambourne and John Watt from Temple went out in very heavy rain and on the very difficult third extra hole, Dries made an excellent par 4 to win the match for The Lambourne, who make a habit of winning The Plate – this their fourth title. The Lambourne: Marcello Cuconato, Peter Cuthbert, Mark Dries, Ian George, Larry Marriot, Gareth Probert (Captain), Roy Sanderson. Temple: Dion Bowen, Richard Edwards (Captain), Gary Mott, Miles Rendle, Chris Taylor, Jethro Tull, John Watt. Played at Bicester Golf & Country Club on Tuesday 26th October. There was an entry of 56 boys for this Championship. Due to the difficulty of playing more than 27 holes at this time of year, the field is split, so that the higher handicaps have a morning coaching session with PGA Professionals and then play 18 holes Stableford for separate prizes from the main event. This again proved most popular and all the boys felt they benefited from their coaching. It was a pleasant change to play this event on a nice day, however with the course having undergone a number of changes the Boys found scoring very difficult. At lunchtime Mathew Johnson (Chipping Norton) and Ben Kirby (Windmill Hill) were leading the way with Sam Walker (Temple) just one shot further back . Four other players were in with a chance as they were within 4 shots, although they only had 9 holes in which to make an impression. First in and setting the pace was Joe Wicks (Donnington Valley) whose total of 129 did not look as if it would quite stand up and this proved the case, but he did have the consolation of winning the Handicap prize by 5½ shots. Three of the four main contenders were playing together and after a good start from Eddie Pepperell he had picked up shots on his playing partners and after 5 holes Mathew Johnson held a 1 shot lead over both Pepperell and Ben Kirby. Just behind, Sandy Bolton (Frilford Heath) had drawn level with Johnson and the last four holes were very exciting. All the players dropped shots at the sixth and then Pepperell got level with Bolton after making a birdie at the 7th Then, another birdie at the short 8th took Pepperell into a two shot lead as the others faltered and he had the luxury of dropping a shot at the last, as the others all made pars, to win by one shot from Johnson with Bolton and Kirby tied in 3rd place. In the handicap prize section Dean Evans (Studley Wood) picked second place and Michael Bowyer from the home Club came third. Finally, the Boys who had had a coaching session finished their Stableford round with James Webb (Thorney Park) taking first place with a fine score of 38 points with three others tied on 34 points. 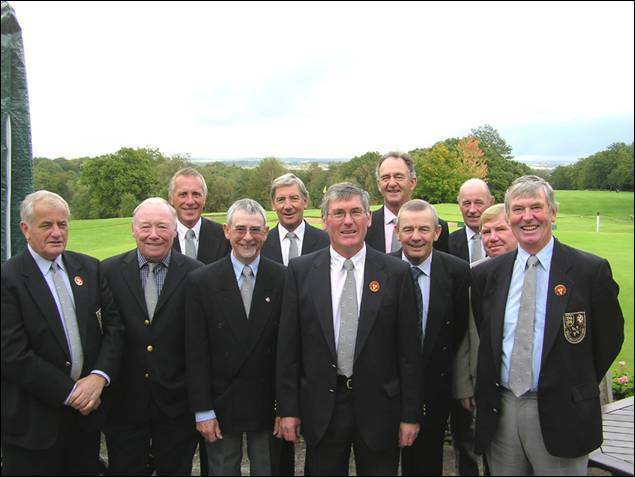 Team at Stoneham: Bob Clarke (Mentmore), Rod Crisp (Ellesborough), Ian Disney (Frilford Heath), David Doodson (Temple), Duncan Forbes (Sonning), Robert Gill (Gerrards Cross), David Kelly (East Berkshire), David Lane (Goring & Streatley), Roger Mawle (Tadmarton Heath), Tommy Wells (Burnham Beeches). 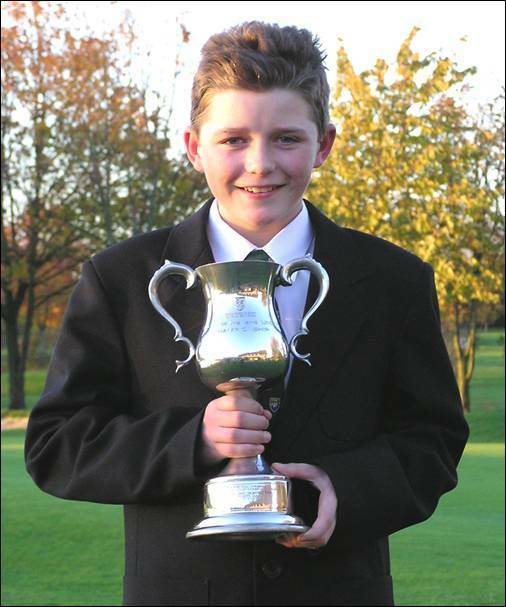 The boys from Hadden Hill were crowned English Junior Champion Club after a nail-biting final afternoon at Woodhall Spa. With the best two scores from three to count in each round, Hadden Hill, representing BB & O finished on 140 Stableford points, the same as Dorset representatives Ferndown. But in the case of a tie the discounted cards are taken into account and Hadden Hill got home with 59 points to 54. "We were quite confident coming into the event but we didn’t think we could win," said 13 year old Liam Corrigan. "I didn’t play well but the other boys did and this has been fun." None of us have played in a national competition before but we felt we could do well. Even though we were five points behind going into the final round we knew that if we could play to our potential we could pull it off." The Didcot trio, who have a combined age of 41 and a handicap aggregate of 36, began the second and final round in joint 11th place, five points behind leaders China Fleet from Cornwall, who were to finish equal eighth. But with Daniel Walker amassing 38 points off 12 and both Corrigan off 9 and Henry Morley scoring 35, they managed to catch pace-makers Ferndown. The Dorset boys were early starters and posted their score before many others had even teed off. With four-handicapper Jake Hooper scoring 37 points and Matt Hector claiming 36, also off four, they set a target that looked insurmountable to everyone except Hadden Hill. The agony for the Ferndown boys was that they endured a wait of several hours before being pipped at the post. Congratulations to Hadden Hill who have won the first Club Title for a BB & O Club. The Half-Year Council Meeting took place at Newbury & Crookham GC on 13th October. Over 40 Secretaries and Club Representatives attended the meeting. These following appointments were approved at the meeting. After a buffet lunch most delegates looked out the window and thought better of playing the traditional Greensome Foursomes. However, a few hardy souls ventured out and Roy Brown and Barry Greenwood from Reading took the honours. Roy Brown & Barry Greenwood (Reading).